Wooden crates are very popular right now, and work well as props or risers. 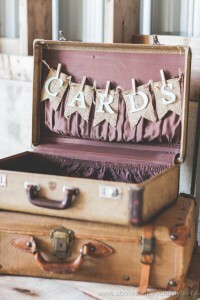 We also love old suitcases, whether they are just for looks or as a card or favour holder. 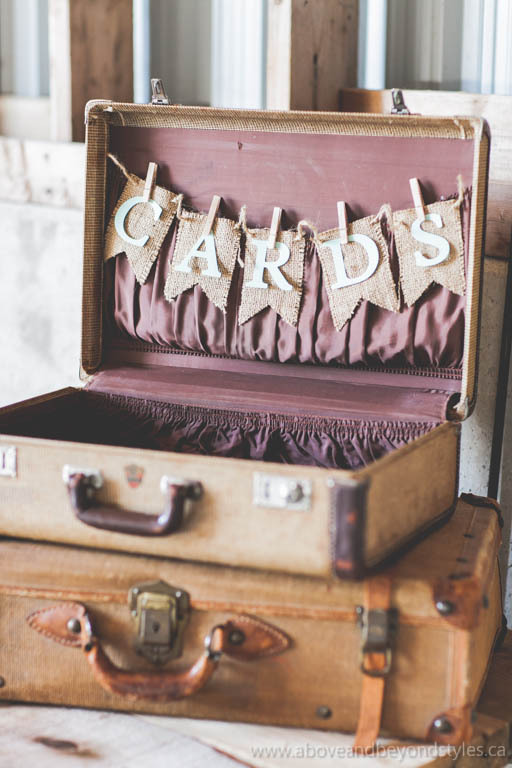 Incorporating vintage suitcases into your wedding day is a great way to symbolize new beginnings and new adventures. Bon voyage! 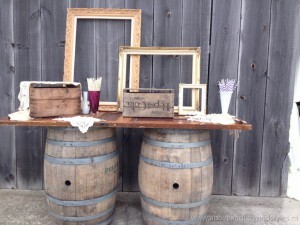 The versatility of our wine barrels allows you the freedom to come up with creative ways to display these pieces, especially if you are going for country chic flair. They have been used to create tables, backdrops for photo op areas, and to dress up the entrance of a venue. We also have smaller whiskey and nail barrels that can be used as accent pieces. Whether hung from a driving shed or draped across a tent, bunting is a chic and unique design that you can add to your decor. You can mix and match colours, hang at different heights, and add different types of lighting to create a personalized look. 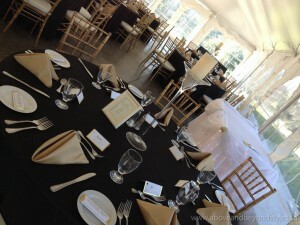 Gold chiavari chairs owned by the Stone Willow Inn. We work with fantastic suppliers who provide us with top quality products, including these standout gold chiavari chairs. Chiavari chairs have become a must-have item at weddings, and add the perfect amount of glam to any vintage decor. 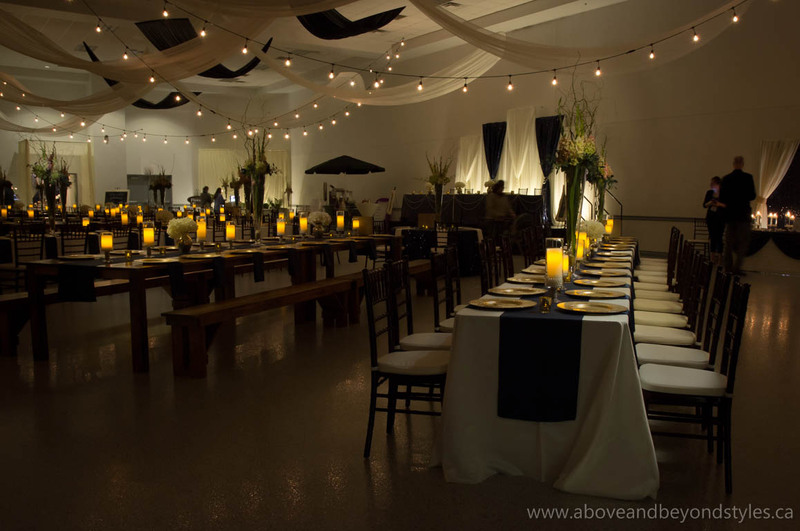 Lighting is one of the most effective tools you can use when it comes to setting the theme, tone and mood of your wedding. Café lighting is both vintage and modern, as well as whimsical and fun. 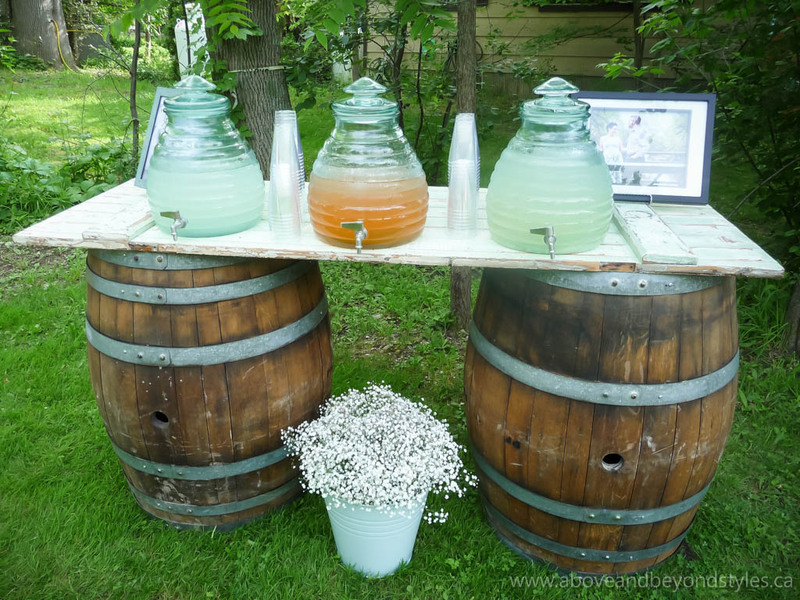 It works well both inside and outside, and will complete the look for your special day. 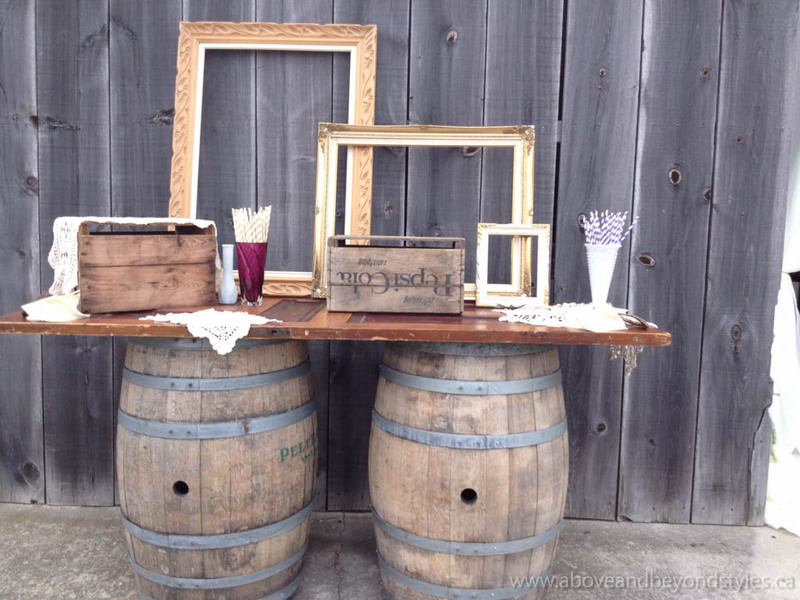 We have many different sizes of vintage frames that can be used to encase seating charts or chalkboard art. 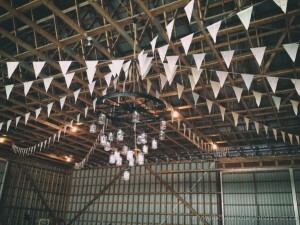 They can be placed on tables and easels, and can even be hung for a backdrop. Picture frames are amazing because they can serve a purpose, or they can be purely decorative. If you are interested in booking one or more of these items for your wedding, contact us to set up a free, no-obligation consultation today.